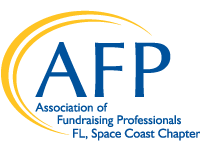 Friends After Diagnosis (FAD), a non-profit organization serving Treasure Coast women with cancer, is seeking an Executive Director (ED) to guide its continued growth and organizational maturity. This is a contract position requiring approximately 30 hours per week on average annually, with greater responsibility September through April, including occasional evenings and weekend days. Reporting to the Board of Directors, the ED will have overall strategic and operational responsibility for FAD’s programs, financial viability, expansion, volunteers, contracted staff, and execution of its mission. Compensation for this position will be commensurate with experience and other qualifications. The employment contract can be terminated at any time by either party for cause. Submit cover letter, resume, and three business references to larrymacke@bellsouth.net. Applications will be reviewed on a rolling basis.